Where is your career heading? Tocci, a leading New England commercial construction company, is looking for talented superintendents. 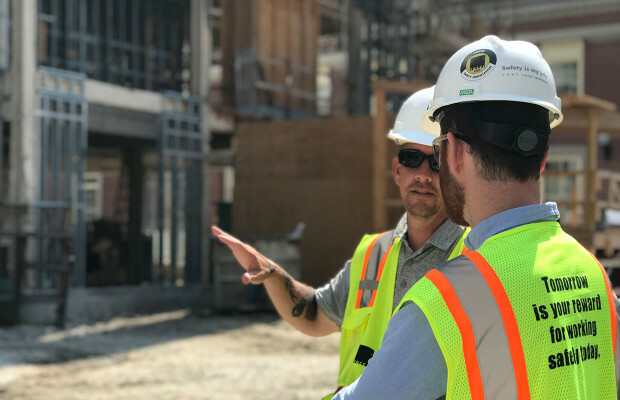 By choosing Tocci you’ll join a team of professionals using advanced technology and lean construction techniques to deliver exceptional buildings. Superintendents at Tocci lead all day-to-day construction activities on projects in multi-family, hospitality, office, retail, mixed use and health care markets. Bachelor of Science in civil engineering, construction management, architecture, or equivalent. Duties will require physical ability to inspect work areas under construction where there is moving heavy machinery; loud noises, areas difficult to access; and seasonal weather conditions. This is a general statement of required major duties performed on a continuous basis. Tocci offers a competitive salary and benefits package. We encourage professional growth and support continued learning through training and individual development programs. Company Life at Tocci offers opportunities for socializing and giving back by sharing time, resources and money. Tocci is an equal opportunity employer. Please submit résumés to ltocci@tocci.com.